When hiking along hot, sunny trails with no hope of shade, the High Coast Shade Jacket is perfect as an airy protective garment. It will protect against the sun without letting you overheat, and takes up minimum space in your backpack. Made in light well-ventilated G-1000 Air in recycled polyester and organic cotton. 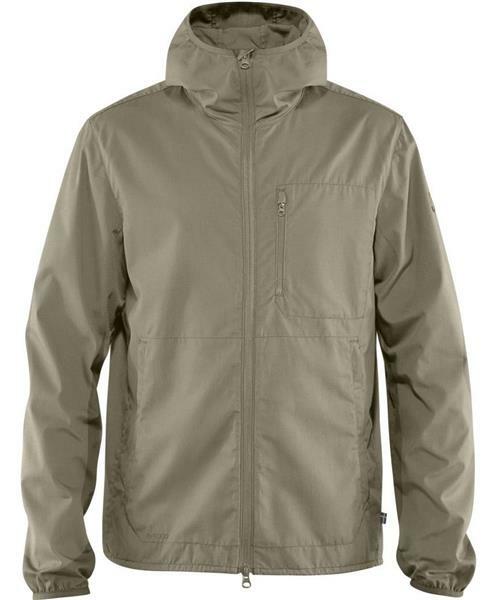 There are two hand pockets and a chest pocket, as well as a comfortable hood that protects from the sun’s rays.